At Female Metal Event 2016 we were approached by PERSONA – a metal band from Tunisia doing promotion at the festival. It was very interesting to meet them and get to know them on an interview. 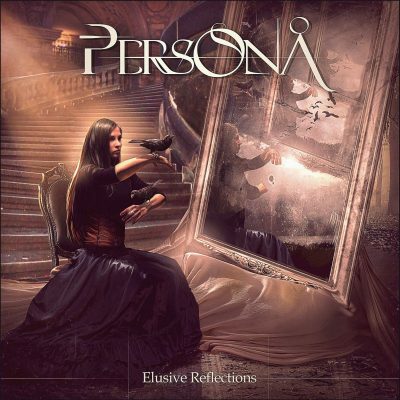 Back home we could finally give their debut album “Elusive Reflections” a listen. The album contains ten very melodic songs, with strong riffs and a touch of Power Metal in the guitar solos, spiced up with some keyboard and clean guitar melodies. The latter are important, for it’s the only unique characteristic, which gives the music some “exotic”, one-of-a-kind tonality. Front woman Jelena Dobrić sings of fake people and strong emotions, but I’m missing a more dramatic interpretation of those words. Her clean vocals are pleasant, but don’t impress in range in a genre that is used to exceptional singers. I even find the excessive vibrato unappealing, but I might be too critical when it comes to vocals. The young Tunisian band’s history is the most impressive when it comes to PERSONA: only three years after founding the band vocalist Jelena and guitarist Malik Malek Khelifa not only composed all the music and lyrics for their debut album, they also produced it themselves. The band’s line-up is complete with Yosri Ouada on rhythm guitar, drummer Youssef Aouadi, keyboardist Walid Bessadok and female bass player Nesrine Mahbouli – girl power, woohoo! All in all, the band’s effort can see eye to eye with the average female fronted metal band – but can’t stand out of the mass – yet. Fans of Melodic and Power Metal should totally listen to songs like the opener ‘Somebody Else’ and ‘Monsters’, which features Jelena growling surprisingly well. Are you a fan of PERSONA? Tell us in the comments!